Palestinian amora of the third amoraic period (died about 350 C.E.). In the Tosafot it is claimed that "Ḥabraya" was the name of his birth-place, but according to Rashi the word means a "society of colleagues," and the surname "Ze'era" (minor, junior) is used to distinguish him from Hoshaiah the Elder (Ḥul. 12b). He belonged to the rabbis "of the south" (southern Galilee), and may be identified with Hoshaiah, the brother of Ḥanina, who was also a "ḥaber." 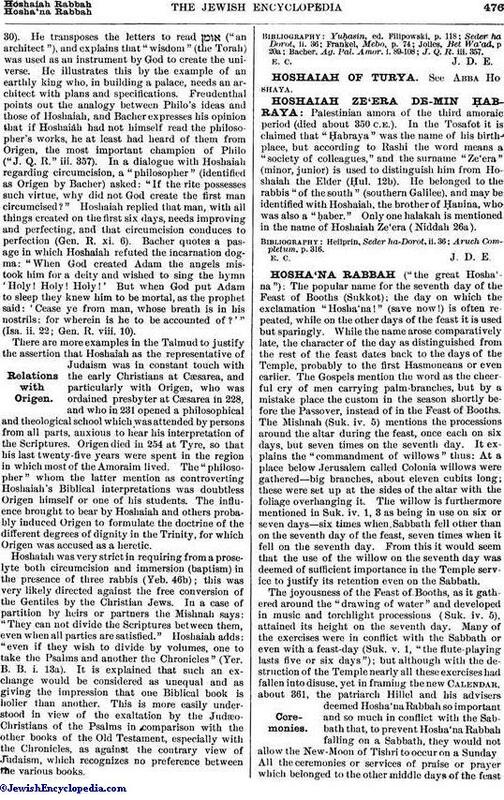 Only one halakah is mentioned in the name of Hoshaiah Ze'era (Niddah 26a).